Do you want to improve your speaking and writing skills and reduce anxiety? Though, there are many ways to improve your speaking in English, you can check top 10 tips to improve speaking by clicking here. One of the best ways to give practice to the students in both modules speaking and writing is dialogue writing among the students in an English class. 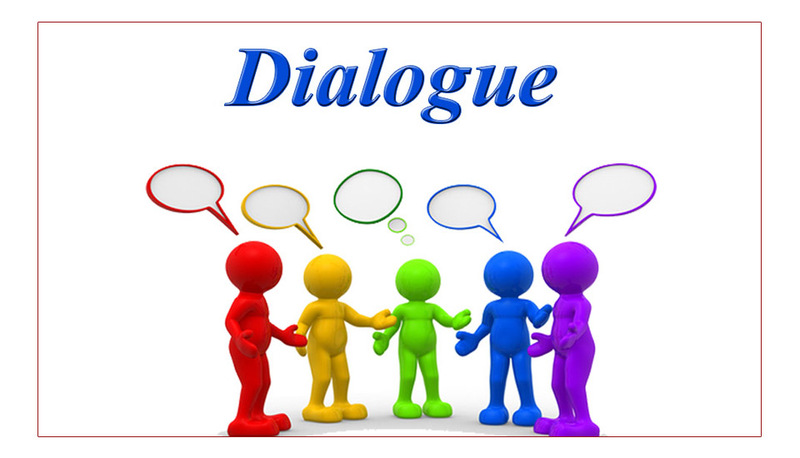 A dialogue literally means “talk between two people” or a dialogue is a conversation or a set of words written then, spoken between two or more characters. How to write a dialogue? 1) Carefully think about the subject given, and jot down briefly the arguments about it which might be expressed by the imaginary persons who are supposed to be talking. 2) Arrange these ideas in some logical order, so that one will arise naturally from another in the course of conversation. 3) Try to imagine what would be the way in which each character in the dialogue would express his views. 4) End your conversation in a real manner, complete your conversation. 1) Read the dialogue and eliminate the repeated words. 2) A dialogue scene should have a clear purpose. 3) Keep your dialogue scene as short as possible. 4) Pay attention to the degree of naturalism. Do people really talk that way? 5) It is useful to have one character interrupt another and keep the dialogue continue. A conversation between two boys (Hussain and Ali), one of whom is habitually despondent and thinks that luck is against him, whereas the other is of a more practical turn of mind. A) Come Hussain, you are taking your failure too much to your heart. I know it’s a great disappointment; but you must not allow it to make you so unhappy. B) It’s all very well for a lucky chap like you, Ali. You have passed the first time, and this is my second failure. You would not feel so cheery if you were in my place. A) I know; but you must pull yourself together, and make up your mind you will pass next time. Remember the old saying “if at first you don’t succeed, try, try, again”. A) Oh, nonsense! You’ll never do anything if you don’t persevere. Now why do you think you failed? B) All this year fate has been against me. First, I was ill, which lost me a whole term. Then just before my examination, my father died, and that so upset me that I could not prepare properly. A) Well, you certainly did have bad luck, I am sorry. But I am sure you will succeed next time; so you must make up your mind to win through. B) It’s no use. I think I was born unlucky. I seem to fail in everything I touch. I tried several times to get a scholarship, but some other boy always got it instead. I shall give it up. A) Indeed, you must not. Remember it’s the darkest hour before the dawn. Often when things are at the worst, they begin to improve. I don’t believe in all the talk about bad and good luck. A brave man makes his own luck. You have a year before you; you have brains, and if you will only pull yourself together and put your heart into your work, you will win through. B) I wish I had feelings like you. Still, I will take your advice and have another try. A) That’s the style! And I am sure you will succeed and break your so-called “bad-luck” once for all.